One of the delivery mechanisms for health services is voluntary nurse home visit programs. The federal government has an office which evaluates such programs for pregnant women and children from birth through five years of age. The evaluations cover eight separate outcome domains. In this article we will take a look at one of those programs as an example of this health service delivery genre. Family Connects utilizes a triage model of care, offering one to three nurse home visits to parents with newborns. The program is strictly voluntary. The most stringent form of opt-in is required before nurse home visit services are provided: The parent must provide written consent. Family Connect’s goal is that at least 60 percent of all families with newborns participate in the program. If 60 percent coverage is good, is 100 percent better? Mandatory programs would “serve” two groups of parents. The first is parents who would volunteer even if there is no mandate — the 60 percent. The second group is the parents that are coerced into participating by the law — the final 40 percent. What makes nurse home visit programs so effective is the public perception that nurses are a helpful source of information about healthcare, including how to take care of a new baby. The nurse is viewed as a valuable resource, especially by new parents. This is why 60 percent volunteer to receive in-home nurse visits. 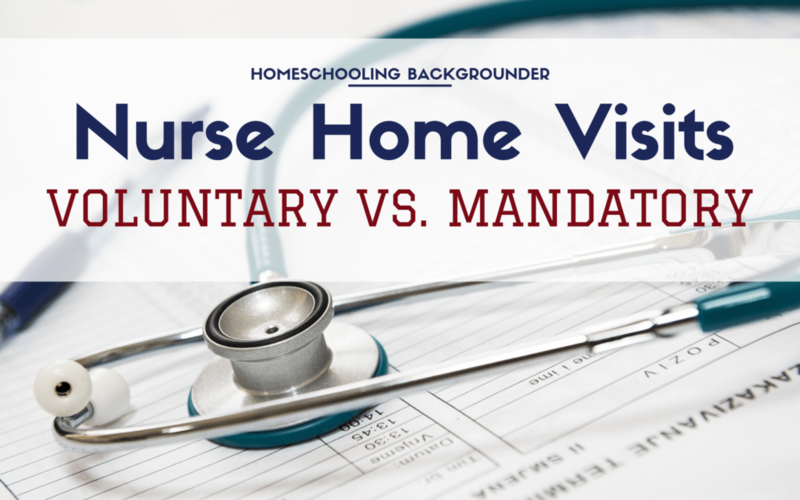 But mandating in-home nurse visits instantly transforms nurses — for the 40 percent — into State agents invading their home, looking around, and imposing unwanted requirements on the parents. Try noncompliance with “medical advice” and see what happens regarding medical neglect allegations. There is no scientific justification to support the argument that positive results in the voluntary 60 percent group will be replicated in the mandatory 40 percent group. The circumstances of home visits are just too far apart from parents that want visits to those who do not. The notion that mandatory nurse home visits to coerced parents will produce the same benefits observed in volunteer parents, can only be labeled as speculation. There is no research evidence to back it up. Also, the nursing profession would probably suffer damage to their reputation from such a mandatory program.